Recently I was visiting my 86yr old grandmother and found her trying to scrub pasta sauce that had dried on the ceiling of her microwave which inspired me to write this quick note. If there is an easier way it is always best to share. 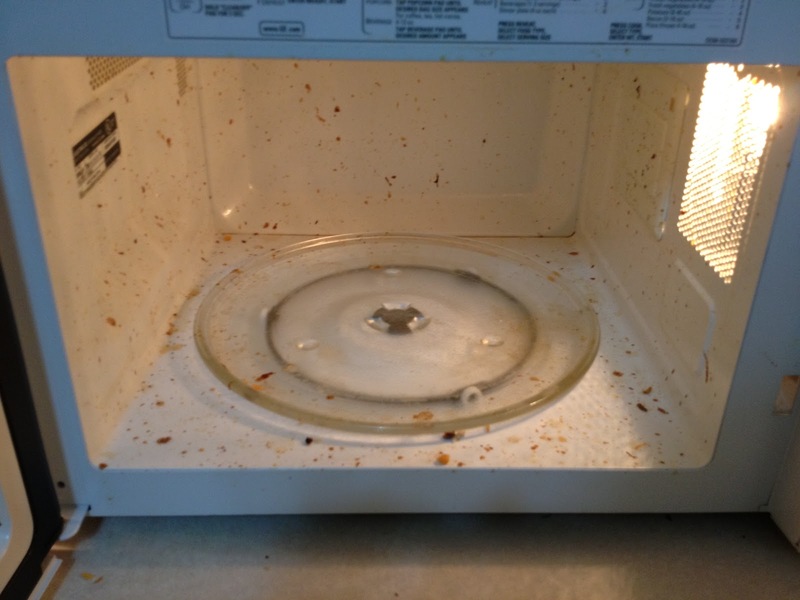 I assumed everyone knew the easiest way to clean a microwave with caked on sauce and other splatters so it never occured to me to write about it. 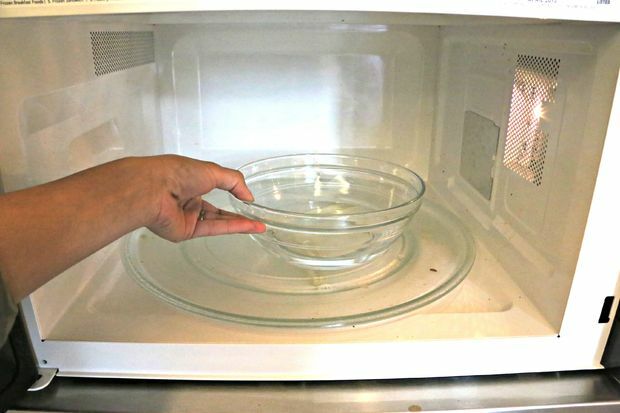 Grab a microwave plastic/Pyrex glass container, 3/4 fill with warm water and place inside the microwave. Preferably one that holds 1/2-2 cups of water. Depending on temperature of the water on starting, turn microwave on for 3-5 minutes. When you open the microwave the entire microwave must be steamed well and the ceiling and walls wet. If not try another couple of minutes. Remove the container – be careful if will be hot. Simply wipe out the microwave, no scrubbing required, no chemicals. If if smells you could always use a cut up lemon in the water however you will find once the microwave has been steamed and the glass turn plate cleaned the smell will disappear.